CORRECTIVE COLOR 2 - 'SoDesirable'-Professional Airbrush Tanning: A Safe Way To Tan! If you have experienced a bad tan from Sunless Tanners or other Salons claiming to be professionals we can help! We have the know how and the right products to correct Unsightly Mishaps - Blotchy Tans -Tan Lines - Orange skin - Etc. Call now so we can make you look 'SoDesirable' again - We"ll even come to you!! 'SoDesirable'-Professional Airbrush Tanning is Trained and Certified in the Coloring Process. We know what goes into making a good tan happen. We custom match your Skin Tone to the correct percentage DHA (the ingredient that turns skin a tan like color) that is best for you. Your tan is as natural looking as that of the sun. We like to say that its even better looking than a sun tan because you will always be even and never blotchy like the real sun or UVB bulbs can do to your skin. 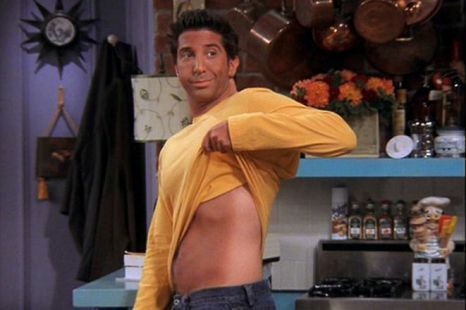 We all remember when Ross from the sitcom 'Friends' ruined himself with Orange Skin while trying to self tan. As well as Ann Hathaway in the Movie 'Bride Wars' when her Jealous friend switched her tanning product with too dark of a color. Sure its funny on the big screen but its a moment one will never forget in real life. Bad tans can happen for various reasons. To name a few, a Spray Technician may be using too heavy a product or the wrong type color for your skin. This can result an an orange like tone. Be sure your Salon is using a Trained and Certified Staff. Another reason this can occur is when applying self tanners the DHA (the ingredient that turns skin a tan like color) is in too big a concentration and may not be right for your skin type. When being applied by hand there is no way to control if your applying the color evenly. Hence why Spray Tanning is a better method as it is released in a fine mist and someone is doing the work for you. There are many reason why tans can go bad it is advised to go to a Salon that is up to date on the tanning process. ORANGE - BLOTCHY - UNEVEN -YELLOW or With SPLOTCHY HANDS FEET ANKLES or NECK? 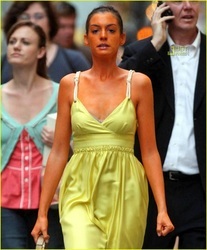 Perhaps your Tan is too light? ?